The Screaming Pope: Is There a Limit to Crying “Fire?" Is There a Limit to Crying “Fire?" The publication of caricatures of Muhammed by Charlie Hebdo, the French satirical weekly, has opened up a new chapter in the unrest that is sweeping the Middle East in the light of the release of the anti-Islam video The Innocence of Muslims. “In Egypt, where protesters last week attacked the American Embassy, the Muslim Brotherhood said the cartoons were blasphemous and hurtful, and called upon the French judiciary to condemn the newspaper,” the Times reported (“Paper in France Publishes Muhammed Caricatures,” NYT, 9/19/12). “Mahmoud Ghozlan, a spokesman, noted that French law prohibited Holocaust denial. Similar provisions might be made for comments deemed blasphemous under Islam, he suggested.” But the question is, what are the limits of free speech? 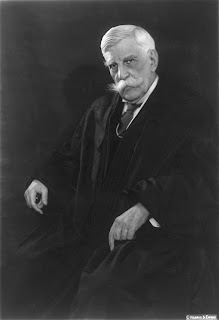 In the famous Schenck ruling Oliver Wendall Holmes established that there was a limit to free speech and the limit would be if the speech created “clear and present danger." Free speech was limited when it could cause harm such as “shouting fire in a crowded theater.” French law may prohibit the denial of the holocaust, but there is no such law here in the United States—where a Holocaust denial industry, however small, still exists. If for instance the Muslim Brotherhood wants the Charlie Hebdo caricatures suppressed, are they willing to agree that similarly anti-semitic distortions like The Protocols of the Elders of Zion, a universally discredited hoax which purported to outline a Jewish plan for the take over of the world, and which is widely available in Middle Eastern countries, should be suppressed? Is it possible to establish the truth and if so, would the line of demarcation be that untruthful statements, like that there was no holocaust should be suppressed while satires, like the Charlie Hebdo caricatures and the Protocols, which are obvious distortions, are allowable even if there intent is to stir up rage? Despite the Schenck ruling American courts have been loathe to argue for any real censorship, due to the many fine points and also due to the degree to which Americans cherish their First Amendment rights (take for example the famous Skokie case, argued before the Supreme Court as Smith v. Collin). Which brings us back to the Schenck ruling. What if there really is a fire? Is the duty of an observer to alert other theatergoers of the danger, even if the ensuing stampede results in greater deaths than if he or she had simply kept their mouths shut? It’s like the old Trolley problem in philosophy. Should the engineer divert the train so that it only hurts or kills one person, when it stayed on its original course, it would have hurt or killed many more? Hey, Frank, what about connecting these folks to the Church down south that sends anti-homosexual protestors to the funerals of soldiers killed in Iraq/Afghanistan? another heinous exercise of free speech? A Kopimist Archbishop for Quito?